ABOUT: Celebrates the birth of show business, and tells of a visionary who rose from nothing to create a spectacle that became a worldwide sensation. DOOR INFO: No ticket sales available at door. All tickets must be purchased online. 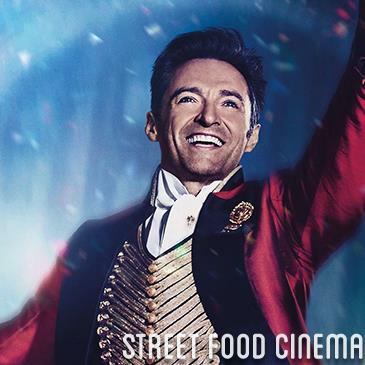 LIVE MUSIC: Visit www.streetfoodcinema.com/the-greatest-showman-la/ for the most current Live Music listing! FOOD TRUCKS: Visit www.streetfoodcinema.com/the-greatest-showman-la/ for the most current Food Truck listing! PARKING: Parking Pass or Drop Off Only - due to limited parking at this location. Parking Passes available online only through ticket add-on ($10). Limited quantity. Cars without a parking pass will not be permitted to park. Drop off lane available (e.g. Uber). Parking Lot Entrance is at the intersection of Will Rogers State Park Rd. and Sunset Blvd.